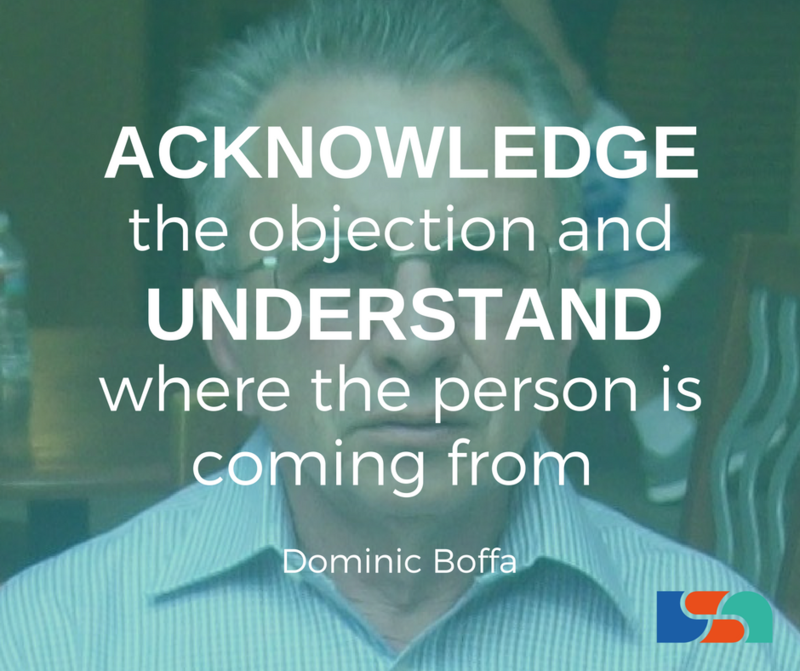 [1:06] Who is Dominic Boffa? When people put an objection, it's like a screen. It's not really what they're thinking about. Our company is perfect for people that are not into pyramid schemes. 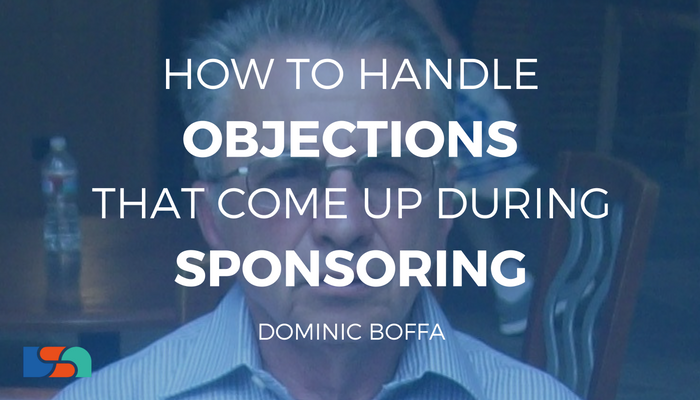 [0:38] Jen: Today we’re really excited to talk with Dominic Boffa about how to handle objections that come up during prospecting or sponsoring. This is something we all go through in this industry every day. And I think we can all agree that much of the response we’re going to get is determined by how we respond, so it’s important that you ensure you have the ability to be able to do this. Welcome, Dominic. It’s great to have you and I look forward to going through this with you today. [1:03] Jen: So, can you tell us a little bit about yourself. What’s your background? [1:06] Dom: Background, originally from Italy. I was born in Italy. I came out here as a little boy, 6-year old. Studied, I did all my studies and all my worklife in Australia. Married for about 20 years, I had kids. I retired from full time work about 10 years ago, when I say retired from full time work, that was my employment, but now I concentrate solely on my business, my multi-level marketing business. My background, I started in the trades and then moved into apprentice training and also went into adult training. About the last five years of my working life, I was a contractor with Australia Post. [1:42] Jen: Oh, that’s interesting. [1:44] Dom: Yes, I did quite a few things in my lifetime. [1:48] Jen: So, what brought you into this business then? [1:51] Dom: I was in – well, I’ve only been involved in two companies in this business, but I’ve always had a passion for health and wellness for a lot of years since the 70’s. When the current company I’m with, when I got involved with them. And it also gave me an opportunity to think about how I could generate my extra income alongside what I was currently doing. [2:13] Jen: Okay, so can you give us a little bit of an overview of your business? [2:17] Dom: Well, business is with a New Zealand based company which they’re global. My current business is in Australia, in New Zealand, in Thailand, and in the Philippines. [2:29] Dom: And hoping to expand into some of the other countries that our company is involved in. [2:34] Jen: Okay, so if you weren’t in direct selling, what do you think you’d be doing? Would your life be any different? Would you be any different? [2:41] Dom: Yes, certainly, yeah because what I probably wouldn’t be doing much, you know, once you retire you sort of wouldn’t be involved in much except playing golf and otherwise, I wouldn’t be doing much but what its done for me is it keeps me involved with people. I met fantastic people along the way. Its developed me as a person through the training that I get through the company and also allows me to travel with the company. For instance, at the beginning of December, I’m going across to New Zealand for a conference there, so it allows me to do that and once again it enhances me as a person and it also allows me to meet great people in the business. [3:24] Jen: I know you’re excited to talk with us today about Handling Objections. Can you tell me why this topic stood out for you? [3:31] Dom: The reason it stands out for me is when I first started in the business. It was probably one of the – probably I’m still learning about it now. It’s one of the things that’s very crucial to the business, but I wasn’t doing it very well and I had reservations even though I thought I had confidence, but once you get an objection that sort of tends to knock the wind out of your sails. It’s an important aspect to the business when you’re prospecting. [3:59] Jen: So often we talk about people having their perfect formula that helped them to handle objections. And a common formula we often hear is listening, asking great questions relating to the fears from those objections and then telling stories. I’ve also heard of feel, felt, found method, which again is similar but both seem to be formulas that work for so many. I guess what I want to know is what is your method or formula for handling objections. [4:29] Dom: I’d probably go a little bit different than that. I go with – I certainly acknowledge the objection and I try to understand where the person’s coming from, why they’re objecting and also then, I connected to the objection and then obviously move on to actually solve and make them feel more comfortable because I found that 9 times out of 10, when people put an objection up, it’s like a screen, It’s not really what they’re thinking about. They probably don’t want to get involved in it, in the business so they put up sort of excuses so that they can put you off and hope that you don’t keep going with it. So, that’s – but I tried to find out why they’re objecting. What’s the reason behind it. [5:17] Jen: So, would you like to do a little bit of role play with me, Dominic? I’m going to start throwing out some objections and let’s see how you handle them, okay? Dominic, I’m just too busy to take on anything extra right now. [5:31] Dom: Eh, that’s fine. I was the same as yourself, but if anything changes, for instance, if you final that you have more time because a lot of the people in multi level marketing actually do it as a part time venture with everything else that they do. So if you can find an hour a week for instance, that would be enough. [5:50] Jen: An hour a week? Woo, there you go, that’s definitely overcoming my objections, so here’s another one. Dominic, I just don’t really know enough people. [5:59] Dom: Yeah, that’s the common one that I hear quite a lot, people don’t know enough people, but you’d be surprise how many people you do know and how many people you come into contact with. The best way to sort that out is that you and I can sit down and we’ll go through and compose a list of the people you have contact with over the day or over the week and you’d be surprised how many people you come in contact with. [6:26] Jen: So, that might be true but I just feel that I don’t really want to be pushing my products on my friends or family. It just doesn’t feel right to me. [6:35] Dom: Well, if I could show you a way that you would be helping them to better their lives and they’d probably would be glad to hear you a little bit more about the actual business that you’re involved in and it enhances them, you’d basically be helping them either depending on what the products are that can assist them or also to help them generate extra income. [7:00] Jen: Okay, but I just don’t feel that I’m a very confident person. I’m pretty shy. I just don’t think I could do it. [7:06] Dom: Well, everybody in this business starts that way. They’re not very confident. With the training and assistance that we get through the business, we’ll certainly enhance your confidence. When I first started, I wasn’t very confident with going out and talking to people, particularly about a business but through the training I’ve received, I’ve gained more confidence and you’ll gain more confidence as you go through. [7:33] Jen: Well, this all sounds great, but my other concern is that it kind of sounds like a pyramid scheme. [7:38] Dom: Well, I’m glad you asked that, or you said that, because in our business is perfect for people that are not into pyramid schemes. [7:47] Jen: And why is that? [7:48] Dom: Why is that, simply because our particular business or the business that I’m currently in, it’s not a pyramid scheme because it’s a legitimate, legal business and there’s plenty of evidence out there, for instance, Robert Kiyosaki, mentions multi-level marketing sort of things how good it is. There’s a number of other people, Donald Trump for instance, he says the same thing. So there’s a lot of people out there that actually say how good multi-level marketing is. [8:16] Jen: Now, that’s an interesting one. I’ve actually – I really like that, “Our company is perfect for people that are not into pyramid schemes.” I love that. So, after you’ve handled those objections, what do you do next? Where do you take them? [8:32] Dom: Well, the next thing, the next step is that you ask for the business. And that’s where people have the problem. I know I used to have that problem too actually asking for the business because you can tend to talk too much about it and then you actually talk on a person out of the business. So the next thing is to move on it and actually ask for it, when would you like to start? Can we get the paper work filled out and get you started? [8:57] Jen: So, can you share a story with me about a time when you might have presented the business opportunity to someone several times and you had a no, and a no, and a no, and then finally they said yes. How did that come about? How did it unfold? [9:10] Dom: Well, it was to do with the friends of ours. I brought them to presentations, business presentations and they said, no, no, it’s not for us. It’s not something that I’d be interested in. Fine. So, we left it at that. And this was very indeed very early stages when I was in the business. Then probably twelve months went by and every time we met I keep saying, how’s the business going? And so, they kept asking about the business. I let it go for a little while and I said, well okay, would you like to have another look at the business? The business has grown. It gone into more countries. Would you like to have another look? So they came down and did our presentation for him and we went through it all and they were still hesitant about it. And then, where the turning point was obviously, my wife and I were growing in the business and we’re moving levels and they started to hear that I always travel. So, they asked me the question, well, you travel for the business? And I said, “yes, I do travel for the business.” So, in the third time I presented to him, they decided to join. [10:17] Jen: So, it was the travel. Isn’t that interesting? [10:19] Dom: Yes, the thing is 9 times out of 10, it’s the objections also, it’s the timing. For some people it’s not the right time and you can go back and you can try again at a later date because their circumstances might have changed. [10:32] Jen: That’s right. I’ve heard people say that it can take 13 times, 13 times talking about the business opportunity with someone until they actually take it up. Do you think that would be about right? [10:45] Dom: Yes. I totally agree. [10:48] Jen: It’s all about that timing, isn’t it? 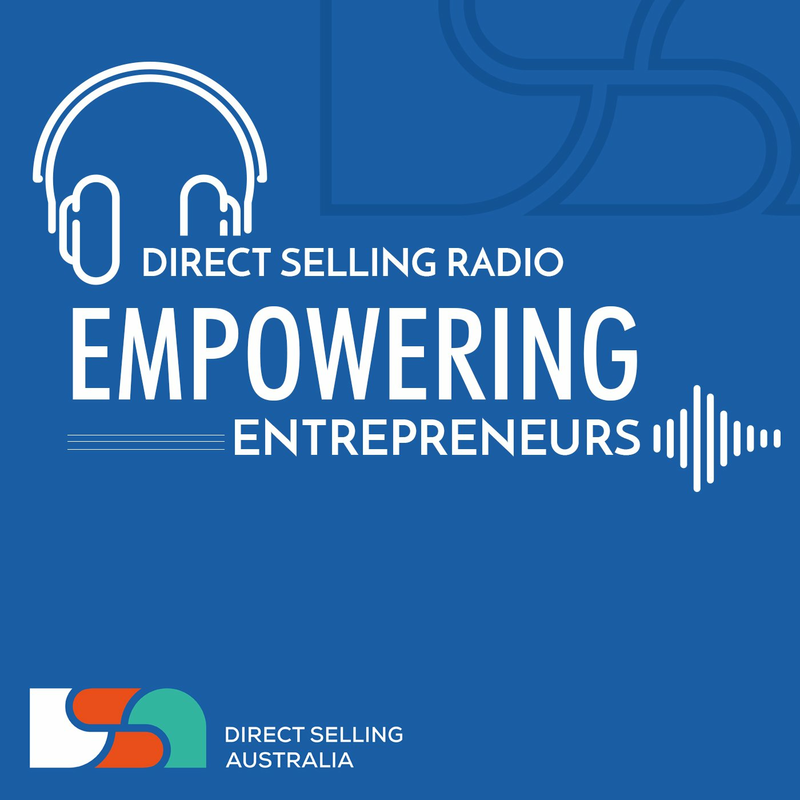 [10:50] Dom: Yes, and particularly with friends and relatives, they don’t – that’s where you got to show that your – if you’re building the business and you’re moving the business then they ask the question, “how come he’s doing it” What’s going on?”. You’re right, 13 – it can be up to 13 times, yes. [11:08] Jen: It just shows sometimes you just got to be a little bit persistent and wait because like you said, people’s circumstances can change overnight. One day they’re cruising along, they’re quite happy with their job and then something happens and they decide this isn’t for them or they have some bills that are coming up and they think, gosh, I really need that extra $100, $200 a week or they want to send their children to a private school and they kind of decide that they can’t afford that or someone has a baby, that can always change circumstances. So it’s about keeping that connection going and dropping those seeds along the way and then later on, something changes. [11:49] Dom: And it can be – not only for the monetary side, it can be as far as health. There’s a lot of other things that come into play. The money is one of it and then I decide, okay, I’m going to do it. So, you just got to hang in there. [12:07] Jen: I only spoke to somebody this morning that has decided to join one of our companies so I’m very happy for her, but the reason actually for joining is the social aspect, wanting to meet more people and there’s something that this woman thought she could never do, confidence being one of those things, never have time, but she’s looking to retire at the moment and feeling a little bit lonely and thinking that this might be a good opportunity so she’s going to give it a go, but for the last 30 years, never, never in her lifetime that’s something she was always saying. But now, all of a sudden circumstances have changed. This goes to show. So, what are some of the ways you showcase the business opportunity? [12:46] Dom: Well, I do it in a number of ways, one on one. I do it over the phone, sometimes, actually over the phone. And if people are remotely located interstate, around Australia for instance, I can do, I do a presentation over the phone. I also do one on one in coffee shops and I also do in-house presentations if there is a group of people there, or a business presentation there. Also, I setup sampling of the products as a group situation. That’s how I present the business. [13:22] Jen: So what do you think are the top three things to remember when handling objections? [13:27] Dom: Well, the first thing is that, they’re not rejecting you so you don’t take it personally because that was my problem when I first started. I thought, hang on, I’m showing them a great business and all of a sudden they say ”NO”. and I said, “ What did I do?” There’s nothing wrong with the business but were they rejecting me as a person? So that’s the first thing. As I said before, the timing might not be right. That’s the other thing. And also, we all hate having rejections so, you just got to hit to the point. When somebody mentioned to me very early in the piece, that you’ve got to have the mindset – this is a numbers game. Go out and present and you go some will, some won’t, next. You just got to hit that thinking. [14:12] Jen: Do you ask a hundred people a month? Chances are, 20% are probably going to say yes and you’ve planted 80 more seeds along the way. [14:21] Dom: Exactly. It’s more and more and then I met some of my friends for instance when we’re out socially or anything like that. Some of them had become a standard joke. You don’t stop doing the business. That’s the nature of the game. You meet people all the time. Whether it’s in a restaurant, like the guy who owns the restaurant, or you’re walking into a shop then start talking, and then somebody – there’s an opportunity there to swap business cards or swap names. [14:49] Jen: That’s right. So, what do you think are the top three mistakes people make when handling objections? [14:54] Dom: They don’t ask for the sale. 9 out of 10 that’s what happens. The other thing is they don’t build rapport. They go straight into the presentation. [15:03] Dom: Or, they don’t listen. They’re too keen to get their presentation done and not find out what the other person wants. [15:13] Jen: That’s common, isn’t it? [15:14] Dom: And yes, the thing is obviously, not addressing the objections. [15:19] Jen: Right. So, a few quick questions before we finish off so we can get to know a little bit more about you. What’s your favourite song, Dominic? [15:32] Jen: No? [Laughs] Okay. [15:34] Dom: It’s been around for a long time. it’s very good. [15:42] Dom: A good glass of wine. [15:51] Dom: I’m inspired by Robert Kiyosaki. I’ve read a number of his books and also as far as books are concerned, probably his best book was Rich Dad, Poor Dad. [16:01] Jen: Okay, I was about to ask you what your favourite books. So, it that your favourite book? [16:04] Dom: Yes. And the other thing is I’ve got it on the shelf and I go back to it at different times even though I’ve read it a number of times. You always go back and you can always pick something out of it. [16:20] Dom: My greatest mentor was a gentleman when I first started training apprentices. He really mentored me into the job and I always think of him. He’s probably not around now, but he really had a great impact on my life. [16:38] Jen: That’s nice. So, tell me, what are you excited about? [16:49] Jen: That is exciting. [16:50] Dom: Catching up with people you know, in the business and the great friends that I’ve made along the way. [16:59] Jen: Well, thank you so much for being with us today, Dominic. I hope that we’ve managed to help others out with managing objections as well. I think we can agree that a key is just being prepared for those objections that we might face every day and how we can overcome them gracefully. And then just practicing. So the more comfortable you’ll become when handling objections the more ease and confidence we will be and come across. So, thanks again for being with us, Dominic. I really appreciate your time. [17:25] Dom: Yes, thank you very much, Jennifer.